Rome, 08 Nov 2018 – Huawei today announced the expansion of its user-centric Mobile Services open platform and ecosystem by new strategic global and local partners. 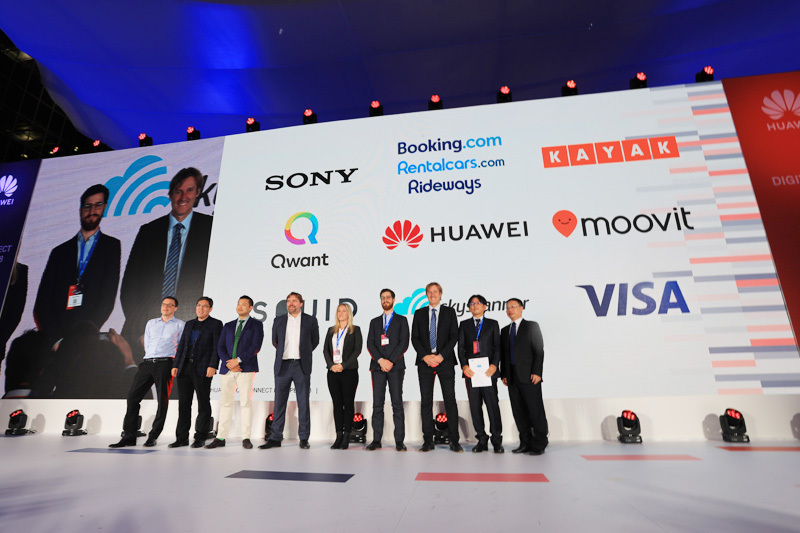 During a ceremony at the Huawei European Partner Convention 2018, Booking.com, Rentalcars.com, Rideways, KAYAK, Moovit, Qwant, Skyscanner and SQUID signed MOUs to distribute their premium content and services to Huawei users. The partners will join Huawei’s evolving mobile ecosystem that focuses on user experience, fuels the development of new innovations and thereby accelerates the digital economy. The MOUs will cover the evolving range of applications within the Huawei Mobile Services suite and the new abilities built through Huawei’s newly launched intelligent distribution platform (Huawei Ability Gallery), from smart travelling (Booking.com, KAYAK, Skyscanner), transportation (Rentalcars.com, Rideways), urban mobility (Moovit), confidential search results (Qwant) and customised news (SQUID). Huawei Ability Gallery provides intelligent connections between users and services. By integrating once into Huawei’s intelligent distribution platform and publishing their content and services through Huawei Ability Gallery, partners and developers can reach multiple touch points across Huawei intelligent devices, and engage with a wide global audience. Huawei collabourates closely with partners to bring premium Mobile Services to all users, enhancing their mobile experience in a new and innovative way. In addition, Huawei and Visa have agreed to extend their global partnership to Europe by enabling the launch of Huawei Pay in key European markets with selected issuers. Huawei Pay uses Visa’s innovative tokenisation technology to make payments more practical and secure by replacing sensitive payment card data with a unique digital ID. When a consumer loads their card into Huawei Pay, Visa Token Service replaces the consumer's sensitive account information with a series of numbers – a “token” – that is specific to that card and device. Payments are made using the token, reducing the exposure of card information, adding another layer of security to Huawei’s payment solution. If the phone is compromised or stolen, the token cannot be used by any other device and can easily be deactivated without requiring the Visa card to be canceled. With the confidence of security, Huawei and Visa want to accelerate the advancement of the mobile payment industry to more national and regional markets together.